For my last outfit change of the day on Thursday, I wore this lace fitted dress by Claire Sweeney for Simply Be. It is a little more subtle than one would expect from ‘me’ for Fashion’s Night Out but sometimes you have to switch up your style a bit. I had already worn statement attire earlier in the day and for the night I went for a laid-back classy look. The dress is from the UK Simply Be website and it does run a little full. I could have gone a size down from my normal dress size. The sleeves are sheer and the dress has a sweetheart neckline. 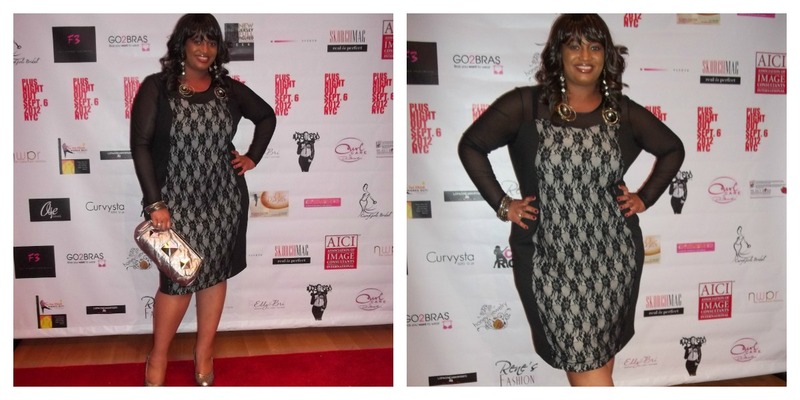 I was very comfortable in it and went with simple pewter colored accessories and shoes.